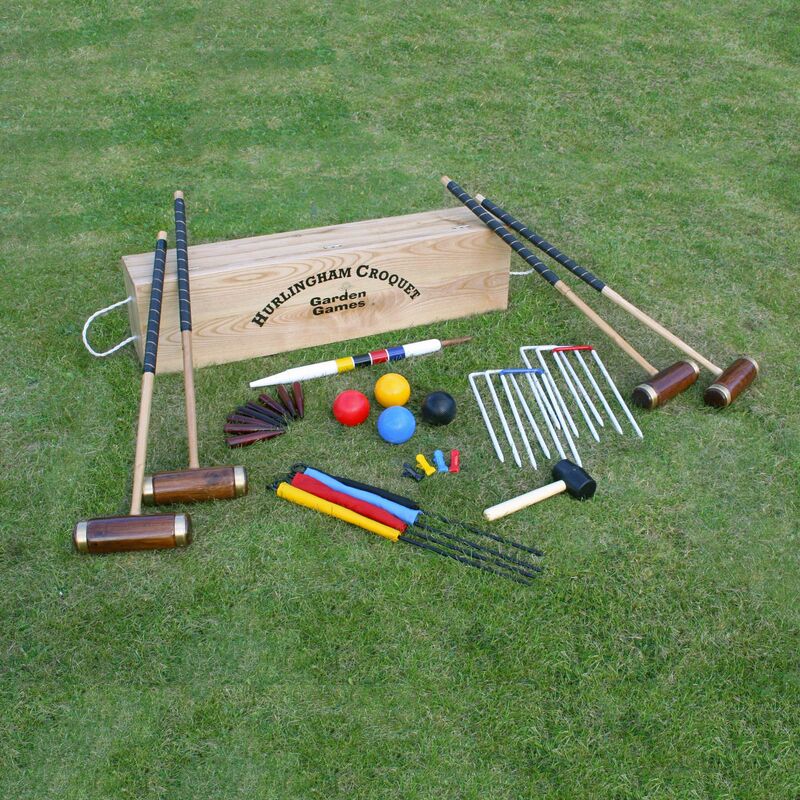 The Garden Games Hurlingham 4 player croquet set is a traditional style croquet set that offers regulation hoops and balls and comes in an elegant, solid ash storage box with brass-plated latches and rope handles. It includes four Hurlingham mallets with brass bound heads and an inlaid sighting line that is 92cm (36”) long and weighs 1.2kg (2lbs 10oz). It also comes with 4 composite balls weighing 1lb (453g) and with a diameter 35/8“, 6 x 1/2” iron hoops, a hoop mallet, a centre peg and 4 corner pegs. Additionally, there is also a colour book of rules and tactics along with coloured metal clips. for submitting product information about Garden Games Hurlingham 4 Player Croquet Set We aim to answer all questions within 2-3 days. 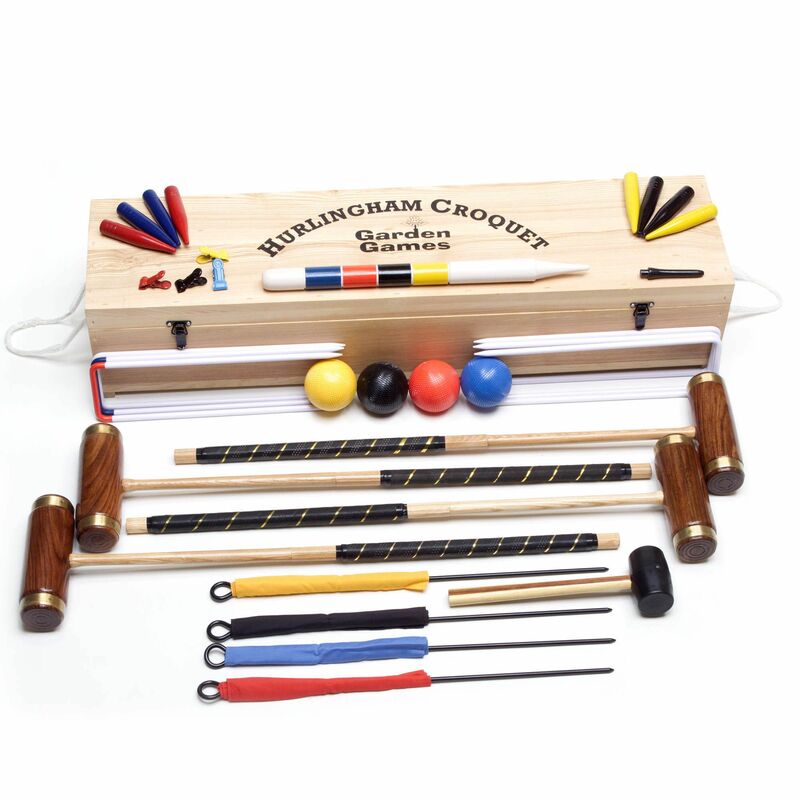 for submitting product information about Garden Games Hurlingham 4 Player Croquet Set. We aim to answer all questions within 2-3 days. If you provided your name and email address, we will email you as soon as the answer is published. 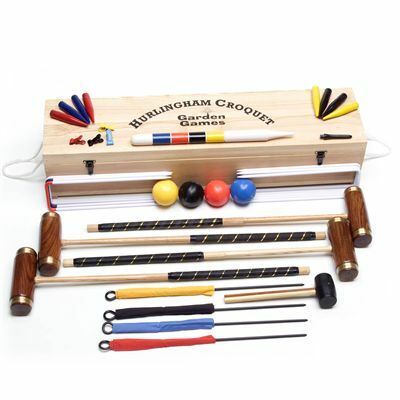 for submitting product review about Garden Games Hurlingham 4 Player Croquet Set.